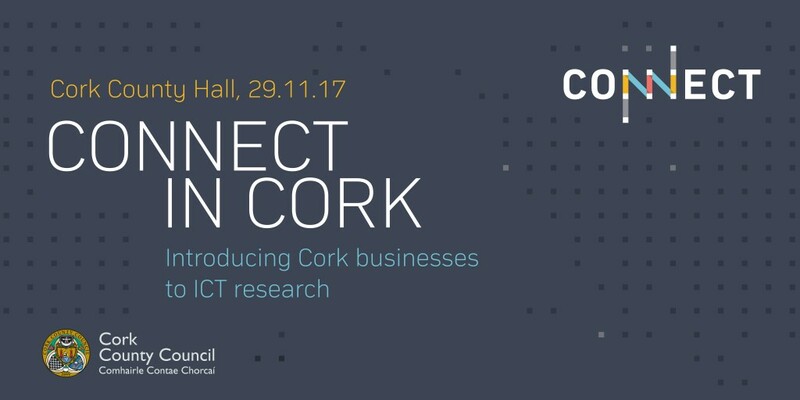 Cork County Council and CONNECT – the Science Foundation Ireland Research Centre for Future Networks – invite you to CONNECT IN CORK, an information morning for business and industry to highlight ways that CONNECT’s third-level, technology research can potentially benefit your company. This event will include details of funding opportunities that support collaborative research agreements with CONNECT’s technology researchers in Tyndall National Institute, University College Cork, Cork Institute of Technology and other institutes around Ireland. You may be surprised by some of the businesses already availing of this research collaboration funding. We hope this event will inspire you to get involved!